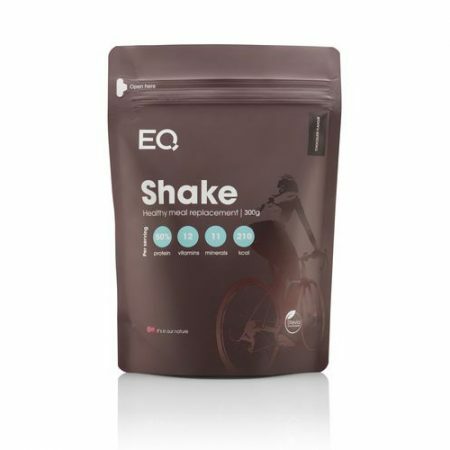 EQ Shake is a unique full dietary and meal replacement that provides only 212 kcal mixed with semi skimmed milk. 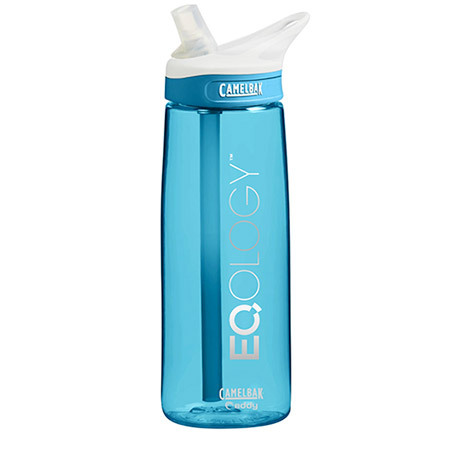 The product is exclusively made from the finest raw materials and ingredients and contains 50% high-quality protein (25 g per meal), BCAA (branched chain amino acids), 12 vitamins, 11 minerals, complex carbohydrates with a low GI, fiber and essential fatty acids. 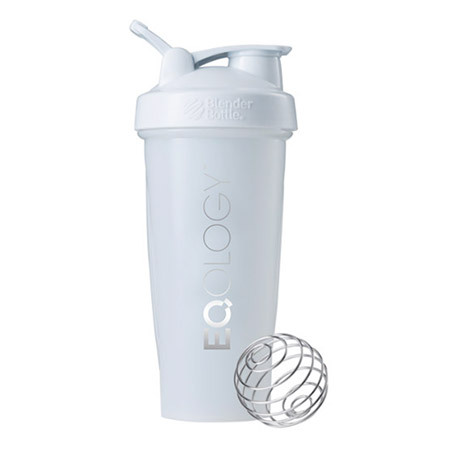 EQ Shake has significant advantages over ALL well-known meal replacements available on the market today. One of the main differences is the percentage of protein and the amount of sugar. 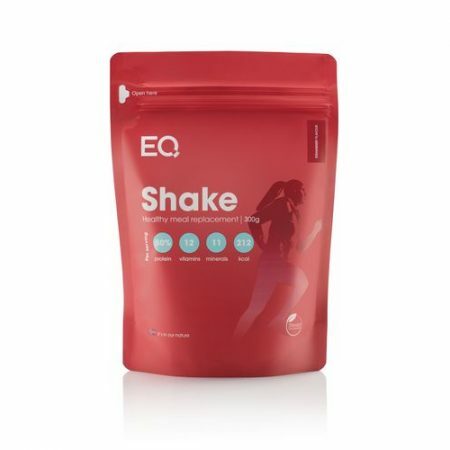 EQ Shake contains 50% protein and is only sweetened 2.1 % with extracts from the Stevia plant. We have used only high-quality protein with the highest biological value – a blend of whey protein isolate (95% protein), added soy protein isolate and casein protein, as these cover beneficial effects that whey does not supply. This is the optimal composition that provides a steady supply of amino acids throughout a longer period of time and simultaneously provides the body with nutritious vegetable proteins with antioxidant properties that promote muscle recovery after exercise. Whey protein isolate (from milk), soy protein isolate, dietary fiber (acacia gum, inulin), fat powder (soybean oil, glucose syrup, milk protein), minerals (potassium carbonate, magnesium carbonate, calcium carbonate, iron (II) sulfate, zinc sulfate, potassium iodide, sodium hydrogen selenite, copper II gluconate, manganese sulfate), natural colouring (riboflavin), thickening agent (guar gum, xanthan gum), flavouring (vanilla flavour), sweetener (steviol glycosides), vitamins (vitamin E (dl-alpha-tocopheryl acetate), vitamin C (L-ascorbic acid), vitamin B3 (niacin), vitamin A (retinyl acetate), vitamin B7 (biotin), vitamin B5 (pantothenic acid), vitamin B9 (folic acid), vitamin B12 (methylcobalamin), vitamin B2 (riboflavin), vitamin B6 (pyridoxine hydrochloride), vitamin D3 (cholecalciferol), vitamin B1 (Thiamine Mononitrate)). Mix one measuring spoon (25 g) with 2.5 dl semi skimmed milk in a shaker or similar. 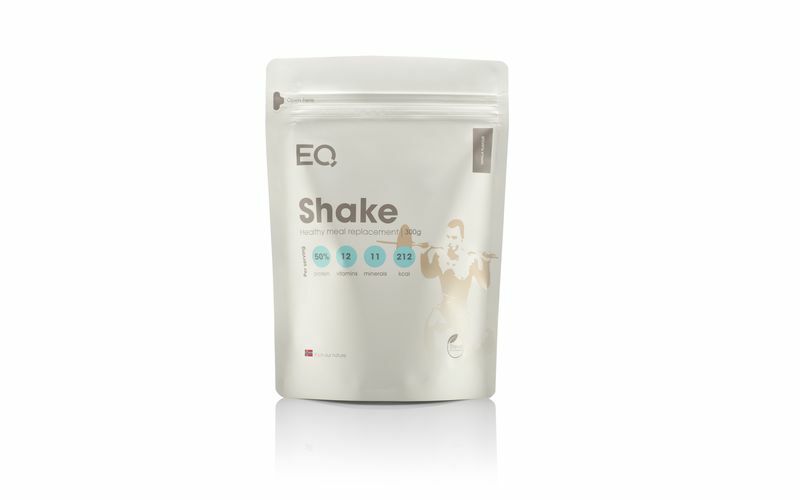 For best training effect, we recommend one EQ Shake within the first 20 minutes after exercise.